the Grey Headhunter. 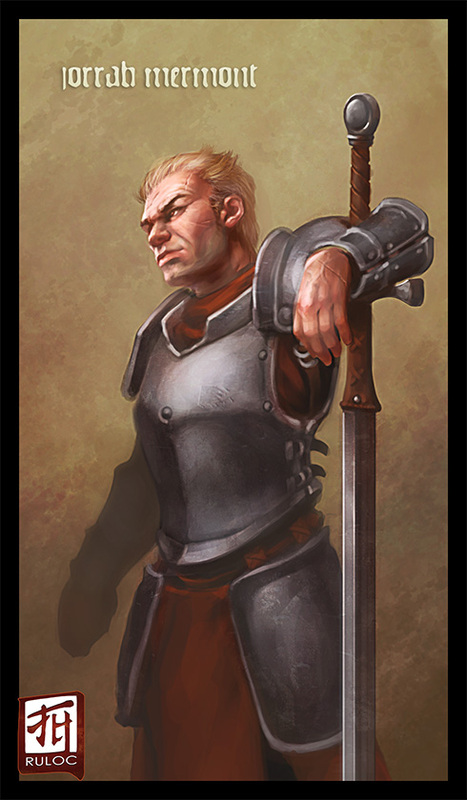 He is a human fighter, and he wears full plate armor and uses a great sword. Being in his 40's his once dirty blonde hair is greying now and his face is showing his battle scars now. His armor shows once fine crafted knightly design, but has since aged hard like its wearer. With his massive sword he is lucky if he doesn't remove the upper body along with his targets head.